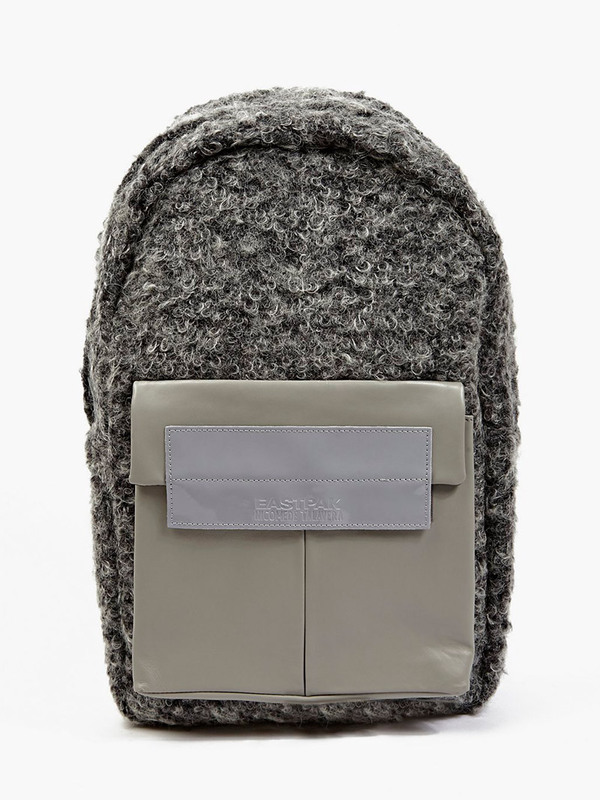 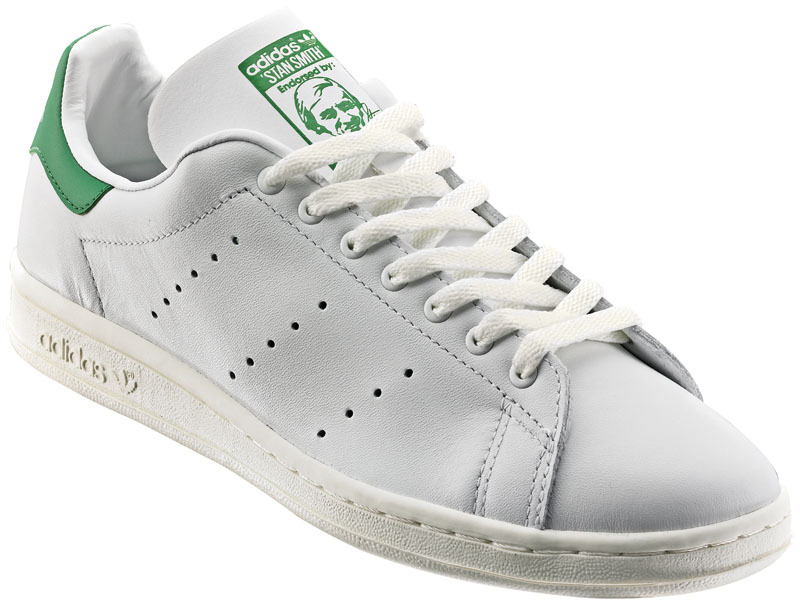 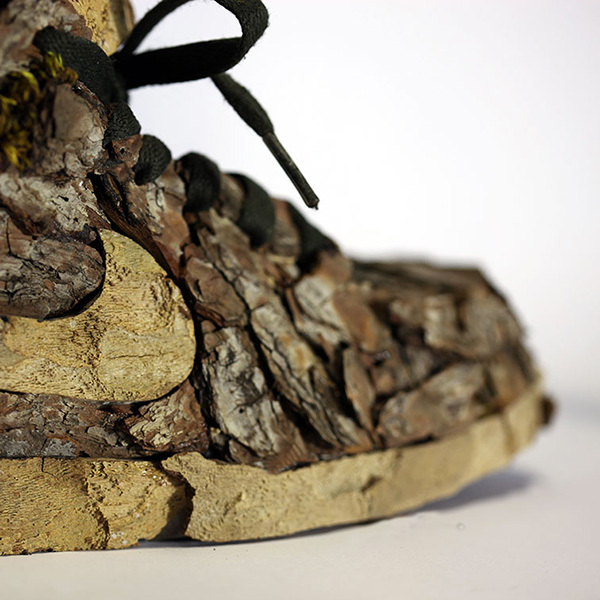 Seems as if fashion industry has a special place for sneakers, over last year. 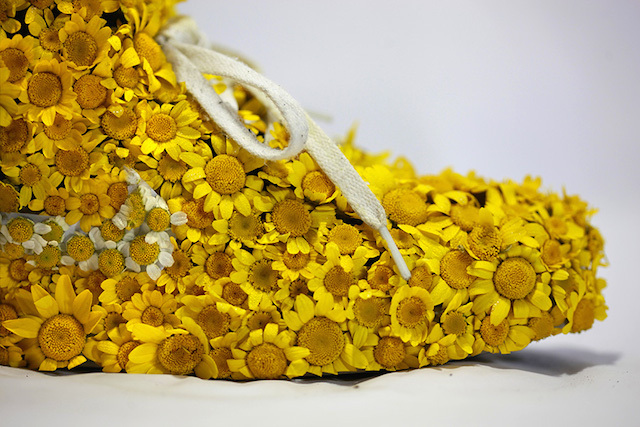 They are the latest trend, offering a comfortable and chic type of shoes, that can match with pretty much everything in someone’s closet. 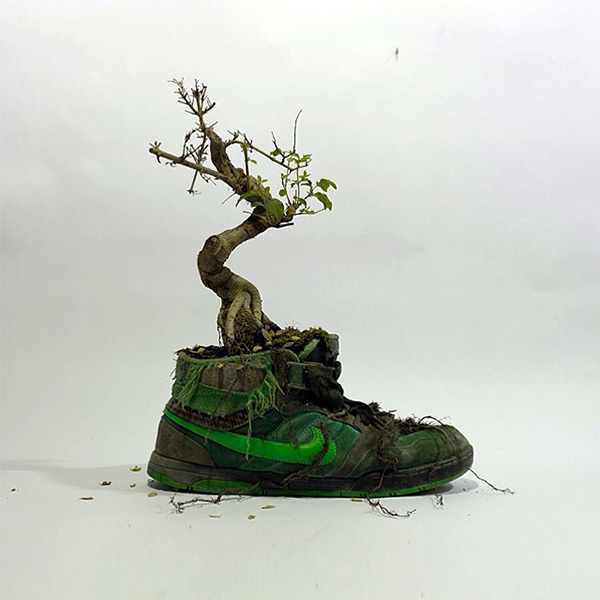 One of the most widely-known sneakers brand is Nike, which releases another collection, a little different than what we are used to. 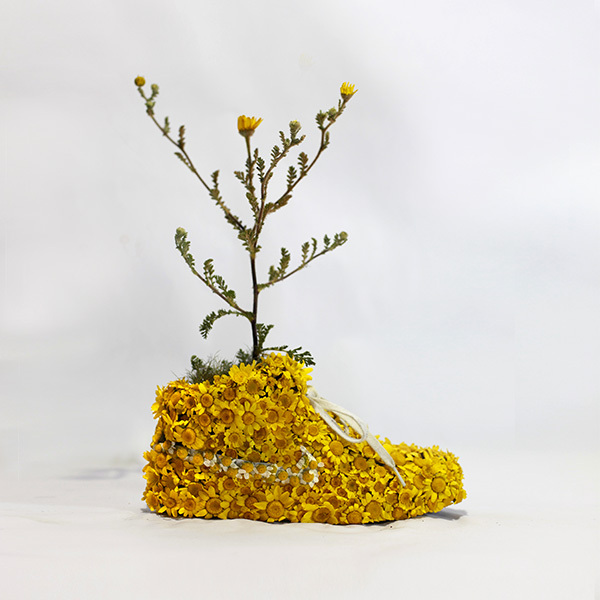 This time neither color, shape or even mixed patterns are its signature, but the material, which the sneakers are made of and generally all the concept behind the collection, which appproaches art. 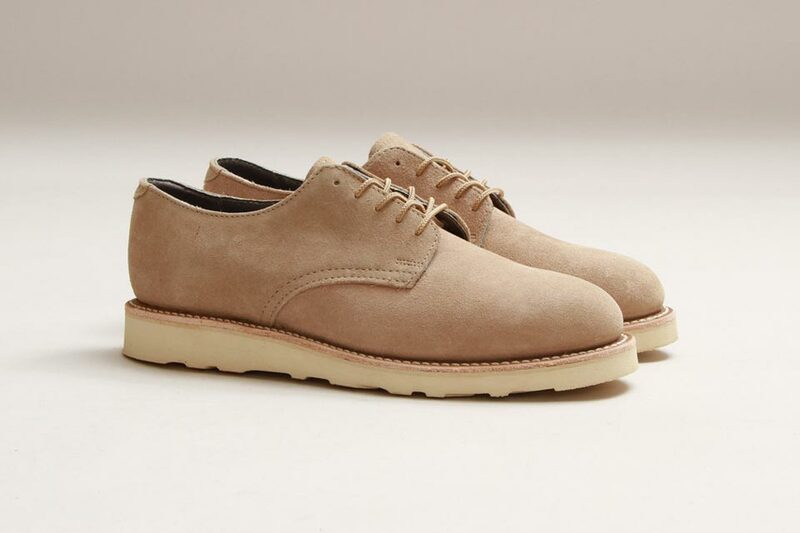 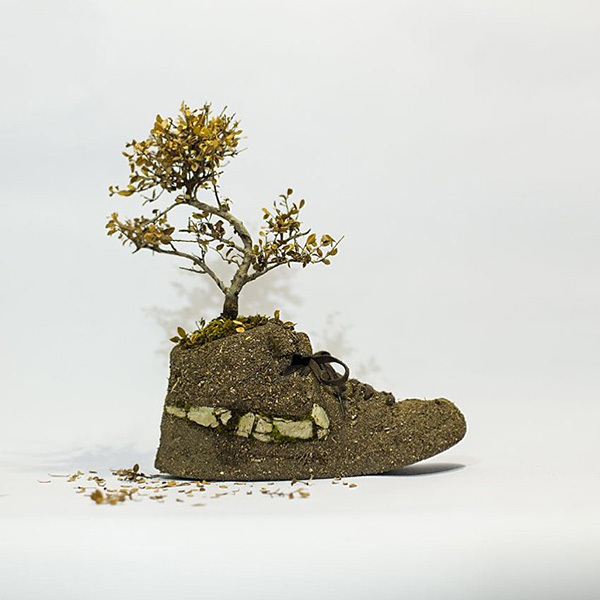 This collection is a collaboration between French Christophe Guinet, also known as Mr. Plant and Nike, which consists of shoes appropriate for planting, not for walking. 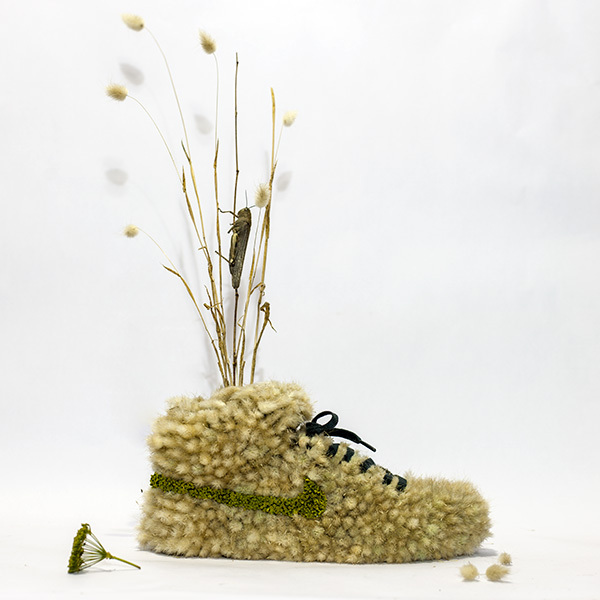 Guinet, known for his love and sensibility for nature, combined it with fashion and art for making a range of Nike sneakers-sculptures from natural materials, like flowers, rocks, poppies, seeds and wood. 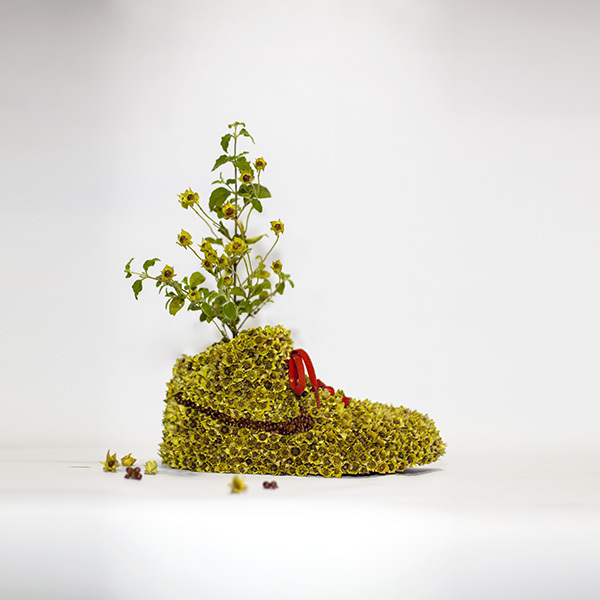 The collection is customized by flowers and plants of all kinds such as daisies, bonsaïs, bark, orchids, tree trunks and dandelions. 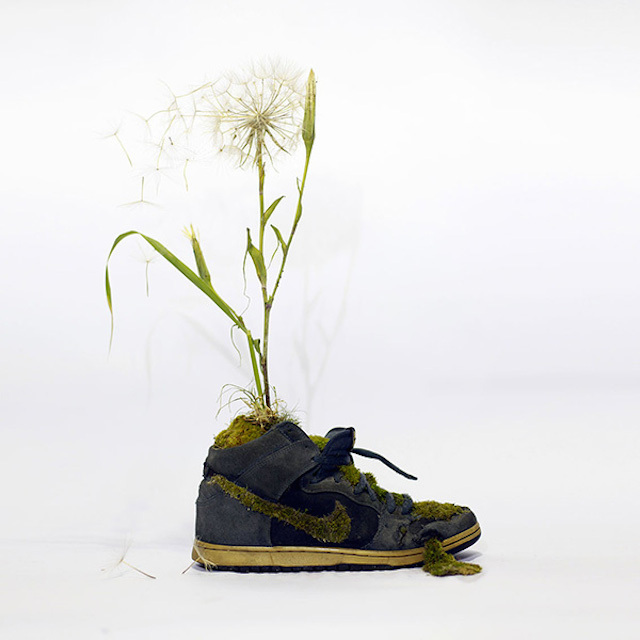 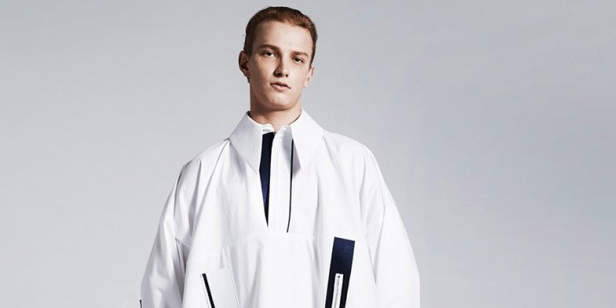 Influenced by the ecological message of the collection, its motto changes from “Just Do It” to “Just Grow It“, hitting a new message in fashion industry.